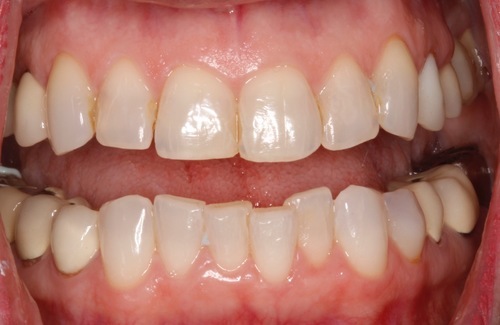 This patient presented to Dr. Rogoff with badly worn teeth and a smile she wasn't pleased with. She was treated with six upper front porcelain crowns. Her bite was opened with bonding material which provided an esthetic and economical solution to her badly worn teeth.